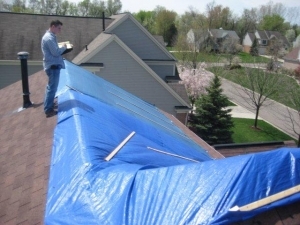 The roof is the biggest part of the house and as such, the most susceptible to storm damage. MGM Restoration has emergency crews on call 24/7. Within 30 minutes of your call, our experts can be at your home to secure your premises. 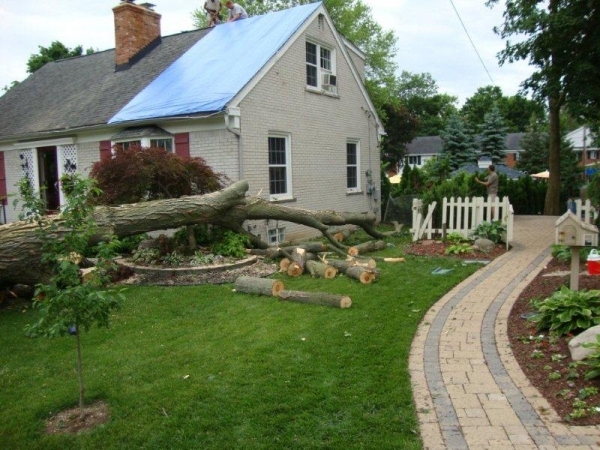 From roof tarping, board-ups and structure stabilization, to providing temporary power, clean-up and tree removal services, we are ready to deal with any damages caused by high winds, branches, or flying debris, so you and your family can begin your journey to recovery right away. 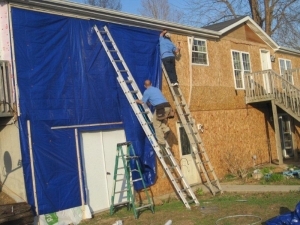 Professional roof tarping prevents further loss. If your roof has been damaged or destroyed by a storm, downed branch or tree call MGM Restoration immediately. Without proper coverage, you may get rainwater and other debris into your attic or crawlspace causing further damage to your interior structure. Do not attempt to cover the area yourself. 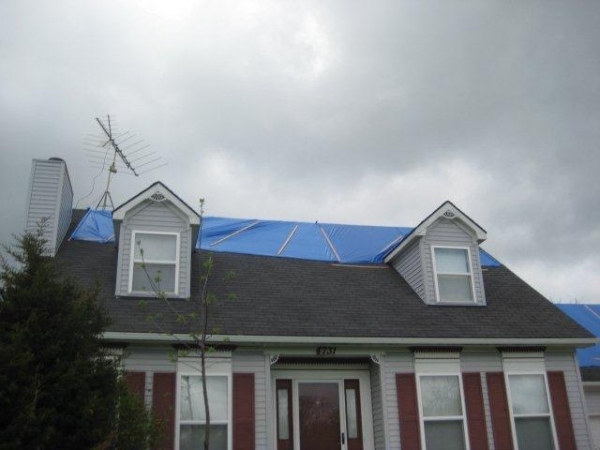 A weakened roof structure and unstable shingles are dangerous and not easily detected. The experts at MGM have the equipment and experience to secure your roof, properly tarp it so it stays in place, and detect any weakness that needs to be addressed immediately. MGM Restoration will remove the downed tree and clean up the debris that came with it. 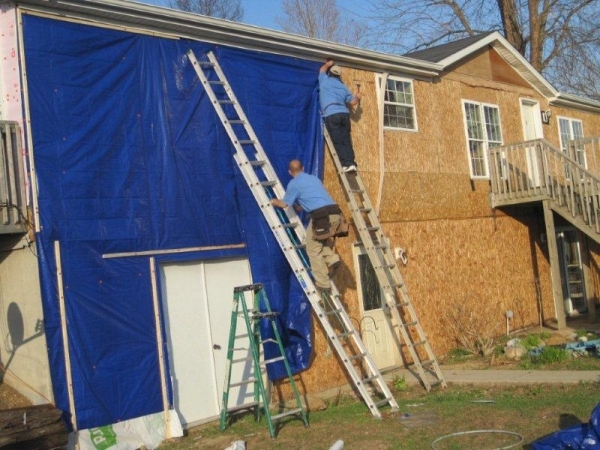 Our crew is able to repair any damage to garage or house roofs, shingles, structures or windows caused by the fallen tree. We can also provide temporary power if needed. 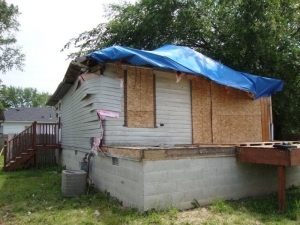 MGM Restoration will work with your insurance and negotiate with the adjusters to get the most out of your claim. 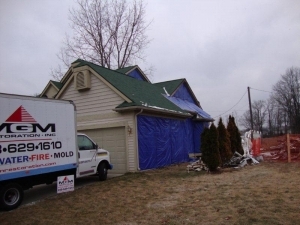 We have been helping Southeast Michigan residents recover from storm damage since 2005. We understand the insurance claim process and know what it takes to bring your home back to its original (or better) condition.